Mister Owl, how many timelines does it take to get to the center of free will and determinism? Do we have control over our actions? Does fate exist? If fate obtains, then can it be changed? Questions like these have been on the minds of humans since art’s inception, with works ranging from Sophocles’ “Oedipus Rex” to Kafka’s The Metamorphosis taking up the matter of how much control we have over our lives. It’s one of the less-esoteric debates of philosophy, to which everyone can relate on some level. Of the many unique aspects of video games as a medium, one that most entices me is the capacity of video games to offer sophisticated illustrations and theses of the problem of free will. The reason why video games are uniquely positioned to do so is this: the narrative of a video game takes the input of the player as one of its fundamental elements. Because of this, each playthrough of a game is unique, whether it is on the level of the player’s character dying at different points in the game, or on the level of the player’s choices leading to different game endings. One could say that reading a novel is also always a unique experience because the reader can interpret the story’s meaning differently, or read the narrative out of logical sequence (perhaps, for example, reading a poem from end-to-beginning). Yet neither of these aesthetic properties are equatable to what we see in video games: the argument for different experiences on the level of interpretation is independent of literally different narratives presenting each time the aesthetic object is examined; the argument of out-of-sequence reading is also interpretive in that the very concept of approaching art out-of-sequence implies reading the work in a way other than the way intended by the author, whereas the artistic variation in video game playthroughs typically all follow the beginning-to-end structure of the game. There is far more to be said about this aspect of video games in general, but I will leave the analysis here as introduction. I turn now with this background to “Legend of Zelda: Majora’s Mask”: we have already begun to broach the metaphysics of the world of Termina; what do the unique spatio-temporal structure and game mechanics of this title propose in terms of freedom and fate? To begin our inquiry, I turn to a subject that I left as a parenthetical in my previous discussion of musical metaphysics in Termina: the Owl, Kaepora Gaebora, who serves as Link’s guide in Termina. In “Ocarina,” Kaepora Gaebora is an incarnation of the ancient sage Rauru, who guides Link on the beginnings of his quest to stop Ganondorf — literally guiding him from the very moment he leaves his home, the Kokiri Forest. One of the major themes of “Ocarina” is Link realizing and fulfilling his destiny as the Hero of Time, and Kaepora Gaebora acts largely as an agent who directs Link towards that destiny. Implicitly, he does this by appearing whenever Link encounters a new area, directing him towards his next objective; explicitly, he does this by actually explaining to Link his destiny to become the Hero of Time and save Hyrule. Kaepora Gaebora refers to Link as a “child of fate,” “chosen by fate” to possess the Triforce of Courage, traverse time, and defeat Ganondorf. Link the Hero of Time is framed in this way as the archetypal epic hero, who is meant to undertake a great quest, and finds ultimately that he must do so. The game design of “Ocarina” recapitulates this framework: although side quests exist, the ecology of the game is dominated by the monolithic main quest to defeat Ganondorf. Every event within the game is designed to move Link closer to the final confrontation against the Great King of Evil, to the point that Navi, the fairy who serves as Link’s guardian, incessantly tells him “Hey, listen!” and reminds him of the main quest objective at hand. So the tale of “Ocarina” is fundamentally deterministic, and Kaepora Gaebora is a harbinger to Link of the world’s determined framework. Move now to the Kaepora Gaebora of “Majora”: he, too, speaks of fate, but in a context that is diametrically opposed to the usage in “Ocarina.” Whereas the dialectic in “Ocarina” centers on Link realizing his destiny as a hero and savior, the dialectic in “Majora” centers on Link changing the destiny of Termina. When Link encounters him in the swamp of Woodfall, Kaepora Gaebora implies that the world of Termina is “destined to fade,” having lost its deities (i.e., the Giants). He introduces the Owl Statue mechanism, which I discussed earlier, in this way: “If you have the courage and determination to proceed in the face of destiny,” he says to Link, “then I shall teach you something useful… I have placed [Owl Statues] throughout the land to aid one with the power to change the destiny of this land… Wherever he may appear.” There are three salient points apparent from this shift in Kaepora Gaebora’s discourse, which I enumerate below. 2. Link has lost his unique import in Termina. Link in “Ocarina” was a child of destiny, entrusted with a guardian fairy and backed by Sages in a battle that only he could wage against Ganondorf. The goddesses themselves choose him, by virtue of his being endowed with the Triforce of Courage. Yet when Link arrives in Termina, he has no titles, no honorifics to fall back on. Kaepora Gaebora addresses him in the conditional: “If you have the courage… then I shall teach you something useful”; later, when Link meets Kaepora Gaebora on the mountain of Snowhead, he says to Link that “perhaps you do have enough strength to change the fate of this mountain after all.” His reference to “one with the power to change the destiny of this land… Wherever he may appear” implies that the course of Termina is in no way dependent upon Link per se. Link could be the one to save Termina, but he is not necessarily the one to save Termina. 3. Kaepora Gaebora is exogenous from Termina. As suggested by my preliminary remarks on Owl Statues, Kaepora Gaebora as an entity is implied to exist outside the bounds of Termina’s apocalyptic framework. This is because his Owl Statues (thinly-veiled analogues to shrines) not only allow Link to teleport across Termina, but also allow the player to temporarily extricate themselves from the universe of the game via temporary saving. 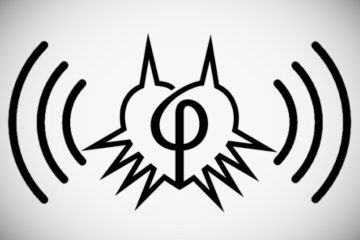 Combine this with the fact that Link must strike the Owl Statues to activate them, an action referred to as “leaving proof of the encounter,” which remains even when time is reset: the Owl appears to serve as a “fixed point,” an observer of the myriad timelines of Termina, who enters the universe only twice in order to speak to Link and direct him onwards, provided that Link wants to go onwards. What follows from , , and ? Kaepora Gaebora was a signpost of determinism in “Ocarina”; now, he leaves the possibility open that fate can be changed, and that Link could possibly effect such a change. Are we to interpolate this as the collapse of determinism in Termina, with the course of the universe totally alterable by Link? Such a conclusion is implausible, in light of the arguments I have put forth regarding the inescapable decay of Termina. Yet the relationship between Link and fate has clearly changed between “Ocarina” and “Majora,” so something more nuanced is at play here. With this background of Kaepora Gaebora, I take a first pass at sketching a Majoran thesis of free will / determinism. The full endeavor will take far more than a single blog post, but we now have enough machinery to make significant headway on the matter. Recall from my post about the absence of Zelda my theory of timeline proliferation within Termina, loosely strung together by what I called “temporal afterimages,” roughly glossed as ‘remnants or artifacts of prior timelines.’ Recall also my theory from my first post about Termina’s metaphysics that Link in Termina is not Link the Hero of Time from “Ocarina.” These theses, combined with our exploration of Kaepora Gaebora’s function within the game, will serve as the basis for our analysis. To begin with, we must distinguish between two different “flavors” of determinism: one that I will call ‘intra-timeline determinism,’ and another that I will call ‘inter-timeline’ determinism. ‘Intra-timeline determinism’ is the name for determinism within a single timeline — so, in more generic games that only have one timeline, this would be the thesis for all future states of the timeline being causally determined by prior states of the timeline. ‘Inter-timeline determinism,’ in contrast, refers to a possible type of determinism emergent from the nature of timelines proliferating within the universe of Termina: specifically, it claims that the chain of timelines is predetermined, such that any given three-day cycle Link lives within Termina is causally determined by the prior three-day cycle. These distinctions, as far as I can see, are only possible in a game as metaphysically imaginative as “Majora’s Mask,” but lead to some provocative, generalizable modes of inquiry. We know from Kaepora Gaebora that Termina as a universe has a fate, and that the fate is one of ultimate annihilation . We have cause to trust the reliability of Kaepora Gaebora about the general metaphysical shape of Termina, because he is exogenous from Termina . Kaepora Gaebora also acknowledges that it is nomologically possible for Link to change the fate of Termina, though Link will not necessarily do so, and it is not necessarily Link who will change Termina’s fate . We know from analysis that the Link of Termina is not the Hero of Time, and also that he relates to the Hero of Time through the phenomenon of temporal afterimagery. Yet if we accept that the Link of Termina is only related to the Hero of Time and his timeline through temporal afterimagery, we find ourselves with little reason to believe that the Link of any given Termina timeline is the same Link as the one in any other Termina timeline. Rather, it seems more plausible that, like the case of the Hero of Time’s relation to the first Link of Termina, each subsequent Link of Termina is connected to the previous only through the effects of temporal afterimagery. This is important, because it will allow us to explain how the universe of “Majora’s Mask” is at once determined and undetermined. Consider first a playthrough of “Majora” described by a set S of three-day cycles (i.e., timelines) in Termina, from the first cycle when a player begins the game to the last cycle when Majora is ostensibly defeated and the fall of the moon is stopped. The set can increase without limit depending on how many times the player uses the Song of Time, and each timeline can proceed differently based on what choices the player makes (more on this below). Regardless, the game is structured such that the first and last members of the set are the same: the former is the first Link’s entry into Termina and quest to reclaim his Ocarina and human body, and the latter is the defeat of Majora by the Fierce Deity. Similarly, all main story events — the liberation of the four Giants, etc. — must exist in the same relative positions within all sets S; that is to say, one cannot undertake story events out-of-order. So, on this macroscopic level, the game drives the player towards its conclusion, irrespective of whatever path they might take within the game. What follows is that a certain brand of inter-determinism holds for the game: players are driven through the story sequentially, and as a result, timelines in which the story advances are consistent in their relative positions, and all must occur within timeline set S.
Now consider any given three-day cycle, ‘Timeline X‘, which exists within S. The Link within Timeline X is unique, and is capable of advancing the story — but he also does not have to advance the story. This is what explains Kaepora Gaebora’s conditional appraisal of Link in : any particular Link may advance the cause of stopping the moon from falling, but it is not required of him. The game mechanics recapitulate this theory: typically a “game over” event within a game indicates that the player has, as it were, failed at the story of the game, and so they must restart from an earlier point in order to play out the “proper story” of the game. Yet if Link does nothing to advance the main story of the main in the three days prior to the end of Termina, this does not necessarily lead to a “game over” event — rather, Link can play the Song of Time, thereby instantiating a new timeline and a new Link. The result of this is that the game itself endorses individual Links who are not heroes, and who do not contribute to the inter-timeline determined plotline. Kaepora Gaebora is exogenous from Termina , which is why we can trust his appraisal of the overall shape of Termina’s universe, and set of timelines. Given this, the fact that he addresses Link conditionally implies that he does not know whether any given Link within a specific Timeline X will advance the inter-timeline determined story or not. This reinforces what we know intuitively, which is that the player can exercise choice in what they can do within any given three-day cycle, even though they must ultimately undertake the main story in order to complete the game. Significantly, what we see here is that the actions of a particular Link in Termina cannot be determined, because Kaepora Gaebora would then not have cause for referring to Link’s capacity to save Termina conditionally. It follows that intra-timeline determinism does not hold, and that any given Link has the ability to exercise free will. We have not, of course, defined precisely what ‘free will’ means for a localized Link. It will take more work than this post to approach a satisfying definition, but we can get something provisional off the ground at present. We know that there is a fixed number of actions Link can take in Termina — after all, the world is spatially and temporally finite within any given timeline, and Link’s actions are limited to those that the player can input via the finite button combinations on their controller. Yet we also know that many actions available to Link do not advance the main plot. These range from the universe of side quests within the game, to literally taking no action, to actively wasting time — e.g., the salient character of the Scarecrow, who offers Link the opportunity to “forget the time” and dance for hours on end, serving no function besides moving the world closer to its end. So if there is a set A of all actions available to Link in the entire universe of Termina, and subset a is the set of all story-advancing actions available to Link, then we can provisionally define ‘free will’ in this context as ‘the capacity of a given Link to select a course of action from A without regards to whether it is a member of a.’ Again, this definition is incomplete, but it suffices to endorse a form of agency in any given Link within a timeline of Termina. In a way, the analysis offers more questions than answers. Besides the precise nature of Link’s agency, there is the question of a more exact account of set S of all timelines of Termina. I have mentioned several times already that Termina ultimately cannot be saved, even though the game has an ending where it appears to be saved, after which the credits roll (this apparent paradox, by the way, is another example of the narrative dissonance that I mentioned previously). So for now, it is an open question as to whether timelines proliferate ad infinitum even after the credits, or if the set is bounded by the “credit-rolling” event. Yet the model of all playthroughs being representable set with particular members whose relative positions are fixed, combined with a framework of Link’s agency as an entity within a single timeline, does give us quite a lot of information about the metaphysics of Termina. In sum, the analysis illustrates a universe that, by virtue of its multiple timelines, accommodates a compatibilist framework of: determinism on a second-order, inter-timeline level, and free will on a first-order, intra-timeline level. I will return to matters raised here in later posts, but for now I wish to close by considering the ramifications of this thesis in the broader scope of video games in general. We saw in analysis the importance of the player as an entity in relation to Link, and it is the player who is ultimately able to exercise choice within timelines of Termina, even while proceeding along the story arc preserved on the inter-timeline level. And surely, if we are to ask ourselves what temporal afterimage bonds every Link in every timeline of Termina together, the answer is the player, the one who accompanies each and every Link on his passage through Termina — essentially, from the inception of the Link when the Song of Time resounded in a previous timeline, to that Link’s extinction when he plays the Song of Time. This relation, far from being an aside, underscores a way in which the player’s agency and interaction with the game becomes a component of the game’s metaphysics and aesthetics, for it is our agency that, narratologically, makes the story told by the entire set of timelines significant, whereas timelines otherwise would only be vaguely aware of each other based on the other, less-robust temporal afterimages generated by Link. Video games are uniquely poised to not only acknowledge the agency of the person who engages with them, but to make the meaning of the story intrinsically related to that agency, and “Majora’s Mask” serves as the template for how to achieve this on a deeply metaphysical level.